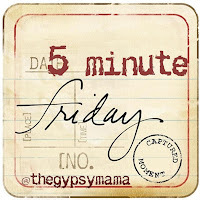 wandering on purpose: five minute friday - "welcome"
I learned hospitality from my mom. We didn't have anything fancy at our house, in fact until I went to college the living room carpet was a nasty shade of brownish green. But my friends never cared. My house was a place where they could hang out. My mom never said no to me having people over in high school - perhaps because she knew high schoolers need a safe place where they can kick off their shoes, eat pizza, and laugh loudly (and soberly) until the wee hours of the morning. "You are so lucky." I heard often from these girls with bigger, nicer homes, with two parents who bought them cars and had a college fund and a wedding. I was lucky. My mom made everyone feel welcome - which is better than fancy. LOVE LOVE LOVE LOVE this! Your mom is awesome and such a good reminder for me - it doesn't have to be fancy it just has to an open door. thanks for writing! This is the type of person I want to be, that I struggle to be. Truly admirable. Welcome is better than fancy! So agree. Great post. You might want to give me a warning that you were going to make me cry! Thank you for your generous words. They deeply touched my heart! Thank you for being such an amazing daughter!! I love you!! I love that carpet, that house, that lady. I have ALWAYS felt welcome there and look forward to our next "laugh waaaaayyyy too loud" event! Love ya!